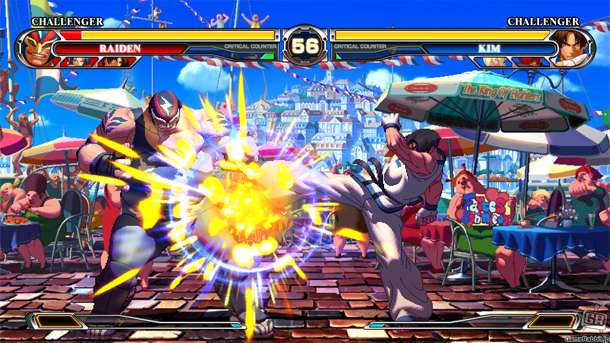 King of Fighters XIII features more than 30 fighters from the series, drawing the roster from existing fighting games in SNK's fighting library. The characters are divided into specific teams. 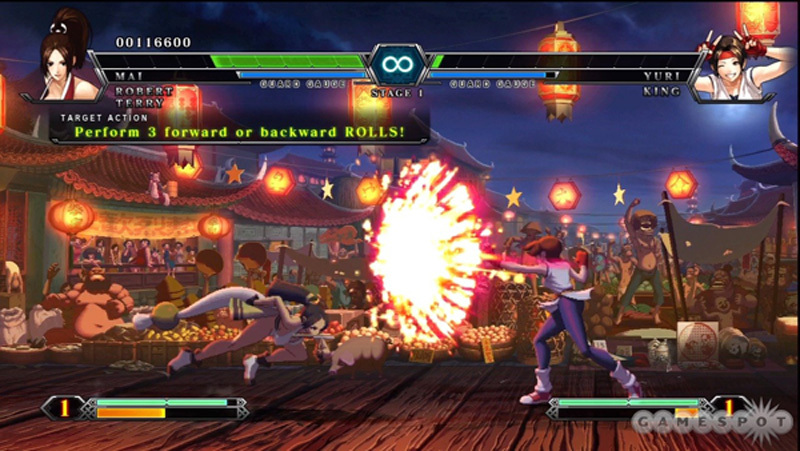 While you can create your own team of three when playing through the arcade mode, the story requires you to play in pre-chosen groups of three, with each team featuring their own specific relation; for example, there's a team of Fatal Fury fighters as well as a team of Art of Fighting characters and so on. The combat mechanics have gotten some changes from the last game as well. The Guard Attack, Clash, and Critical Counter systems have been replaced with EX Special moves, Hyperdrive Mode, and super-powered NEO MAX moves, with the game emphasizing bigger moves driven by your gauges for attacks. The new Hyperdrive gauge fills up when you perform prompted moves or tasks, and lets you perform Drive Cancels, where you stop special move at just the right time to earn bigger combos and more damage to your opponent. The key to winning matches is filling up your gauges and utilizing special moves like MAX Cancels and NEO MAX moves, which require a decent amount of timing and practice to get right.